I am sure you have heard marketers talk about re-purposing their content. I am going to go one step further and say that in the internet network marketing world it is essential that you do. If you keep your head down and stay focused on your goal you will find when you look up you would have created tons of content that you can reuse in different ways. Not just that, sometimes you find yourself doing things so quickly that you don’t actually step back and see what you already created. I am guilty of doing this myself which is why I am sure some of you out there are probably doing the same thing. About a year or so ago I participated in a 90 day video vlog challenge. Well I was so focused on getting through that challenge that I didn’t bother to actually write good titles, descriptions or even tag my videos correctly. The result was that I finished the challenge but I didn’t get the amount of traffic from my videos that I could have if I would have taken the patience to do those initial steps. I lost my first page rankings for this particular keyword because I neglected it plain and simple. However, knowing what I know it’s just a matter of time before I get back to the first page. I was looking at some of my vlog challenge videos I am not in the process of rewriting the headlines and descriptions to rank better in youtube. It’s also an opportunity for me to reuse the content to get my ranking back up. I am sharing this information with you because I believe that what I am telling you right now can also help you. The way I believe it can help you is that if you have made youtube videos that haven’t gotten ranked the way you hoped it would it means you can go back and rewrite your information. There is a format to follow that I wasn’t following. I am pretty sure that this time around I will get ranked better for the video. So the internet network marketing video I am going to share with you today is about making that first sale in your business. I put a lot of nuggets of information in that internet network marketing video. I highly recommend you watch the video and pay attention to what I am saying because it’s the things I say in that video that made all the difference in my own business. It’s not about your business opportunity. Don’t sell your business opportunity. If you want to make more money online start providing real value to people. You do that by being available to them. My friend you will find success online in the internet network marketing world the moment you start thinking about how you can serve your fellow man rather than thinking about how you can profit from him. 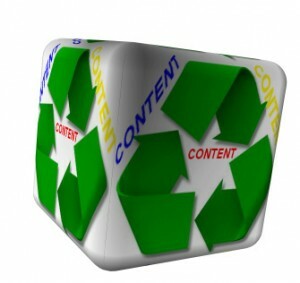 Are you reusing your content in your marketing? If so, what’s your favorite way of doing it? That’s some great advice on purposing our content! That makes so much sense, because something that might not have worked in the past now might go viral! Thanks for the comment Nestor. Not just that, but it also gives you an opportunity to rank for different long tail keyword phrases. Many Many thanks for sharing such awesome article. Its too helpful for newbie. Keep it up bro. Yes, Rajesh you are right. This is awesome post for the newbies. Those who are entering the world of Internet. Thanks again for such helping Post. This is a million dollar sentence that you just wrote: “you will find success online in the internet network marketing world the moment you start thinking about how you can serve your fellow man rather than thinking about how you can profit from him”. I see so many solely doing things to make a profit, but in the end you have to put your visitors first and then you will get a profit as a result, not the other way around. Anyways, good post will look into what you said and see if I can make use of it. No worries 🙂 and it’s true you always have to put your visitors first. New bloggers don’t see the bigger picture. A lot of times they are just looking to make a quick buck so they go right for the persons wallet. I got so many lessons from this post for example re-purposing my content. I am still new in this marketing fields and i hope i will be success in this internet marketing fields. Thank you so much. Hi John, thanks for the comment. I would say it’s easier to recycle videos than it is to re purpose articles. You can only say something so many different ways. But you can always frame a video from different point of views. No, but seriously, you’re right. You can get creative with this. It’s good advice, that I’ll keep in the back of my head until an opportunity comes up. I am glad you enjoyed it John or should I say Alfred. Come to think of it what should I call you? While I don’t mind people linking to a youtube video. Don’t you realize if you put a link to your blog or a video that actually engages your audience you would get a better response then the 50 views I see on that video? I like your post , This is one of the inspirational post for newbies who get fail in their starting days of online business. I really believe in your this sentence “If you want to make more money online start providing real value to people. ” Online business and internet network marketing is all depends on customer, how you behave with your customers, readers . You should make content for them not for just making profits and earning money. Hi Pritam, when I first started marketing online I literally tried to do everything BUT provide good content to make sales. It took me a couple of years to understand that people don’t care about what I am selling. Though that was many years ago, I’ve found if you want to make money selling anything online it starts with you first thinking about how to serve your community and solve problems they are having. After you do that, then the money will start to flow in……. Yes , Solving problem and serving in proper way is really important. I have heard a lot that re-purposing content is an effective way to drive traffic without having to create new content from time to time. But haven’t tried it myself. I believe it’s a tricky technique considering there’s the duplicate content penalty and all that stuff. You also have to be careful not to confuse the reader when posting the same content time and again. But I will surely try it soon by applying the best practices. Hi Mickiyas, Re purposing content is duplicating content. Basically don’t use article spinners or try and cheat the system in anyway and you won’t get dup content penalty. I’d say re purposing videos and re purposing “IDEAS” is the best way to go. Sometimes I read some of my older blog post and just by reading them I get ideas for new post. Or I find a better way to say something I already said. I also teach martial arts, as a teacher I make it a habit to repeat myself because often times the student doesn’t get it the first time around or the second or even the third, but if they hear something enough eventually it sinks in. Also, remember everyone learns differently. Some people are very analytical learners, while other people rely heavily on imagery. So sometimes if you say the same thing different ways you reach a larger base of people. Internet marketing is the best way to do business in this century. I just discovered myself that an interesting (not hype, but curiosity-provoking) title for a YouTube video makes all the difference in the number of views. I’m thinking of going back to some older of my videos and changing their titles. Hi Larry excellent blog post.